The City Law School has appointed Alison Young as an Honorary Visiting Professor for a three year tenure. Professor Young is based at the University of Melbourne where she teaches and researches in the School of Social and Political Sciences. "I look forward to working with graduate students and early career researchers in The City Law School, and hope to be able to provide substantive and strategic advice in terms of research training and career development. I'm also enthused about the prospect of working with colleagues in the Law School and other departments to foster research connections and develop new areas of collaboration. My own current research projects concern the intersection of law, art, and public space, and will undoubtedly benefit from the range of research expertise on offer at City University London". Professor Young has an LL.B (Hons) from Edinburgh University and a Masters and PhD in Criminology from Cambridge University. She is the author of Street Art, Public City (2013, forthcoming), The Scene of Violence (2010), Street/Studio (2010), Judging the Image (2005), Imagining Crime (1996), and Femininity in Dissent (1990), as well as numerous articles on the intersections of law, crime and culture. She has also provided policy advice and acted as consultant for a range of organisations, including the Victorian Law Reform Commission and Melbourne City Council. "We are delighted that Alison has agreed to form a relationship with The City Law School. Alison's research interests centre on 'the city' and our location makes this an obvious space for her cutting edge scholarship. In addition, Professor Young's well-deserved reputation for academic excellence fits our vision for the Law School and for City University London. Her presence will undoubtedly benefit the quality of our research and the educational experience we offer our students". 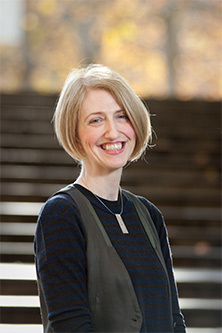 Alongside being an Honorary Visiting Professor at The City Law School, Alison is also an Adjunct Professor in the School of Law at Griffith University and has been a visiting fellow at Westminster University, Birkbeck College, The State University of New York at Buffalo, Hong Kong University and New York University. In 2014 she will be a visiting research fellow at the Humanities Research Centre at the Australian National University.